MultibootUSB is my project to make USB become more multifunction. It is a gift for my friends. I was very happy when I received many good comments. Thank you for using this tool. This tool supports for USB Flash Driver and External Portable Hard Drives. With USB, it will be deleted all partitions and create new. With HDD box, it will be resized and create new partitions, so it very safe for your data. If MultibootUSB does not work after installed on the External Portable Hard Drives. You can use the "CleanMBR.bat" to clean MBR on your drive. After run "CleanMBR.bat", your partitions will turn into unallocated, you need to use the recovery tool to recover all partition (trust me, your data will not be lost). You can use the recovery tools like AOMEI Partition or another software. Finally, remember to run ".fixboot.bat" to fix boot for the bootloader. Thank to Ha Son, Anhdv, lethimaivi, Hoang Duch2... to help me build this project. I will be very grateful if I get your feedback to make this tool becomes more complete, thanks. MultibootUSB 1.0.5 (download) -- keep the original link if you want to share it, thanks! Edited by niemtin007, 02 November 2016 - 03:47 AM. Here is the another link to download Multiboot Toolkit 1.0.5 include Grub2 themes. Thanks for using. Thanks you Niemtin007 for the update. Hey man, thanks a lot for this awesome tool! I'm using 1.0.5 version but when I try to update to the 2.1.0 the update says I need to execute the Installer but when I try to execute the partition program force close and the installer don't run. Another issue but not related to your tool is Kaspersky Rescue Disk and corrupt virus database, is any way to fix this? Sorry I forgot this topic for too long. Thank @f1ult23 updated this topic. I am very thankful for that. @juampa: in the new version, It has a cryptic bug. Multiboot_installer worked perfectly on Windows 10, but It has a problem with Widows XP, 7. I found the bug come from line 11. You can manually fix this by edit [ 01 ] multiboot_installer.bat with notepad, delete line 11 and save it. Now, you can install multiboot with the last version. I'm using a 16GB flash drive and the installer create a 9GB partition. Now I don't have enough space to add more tools. 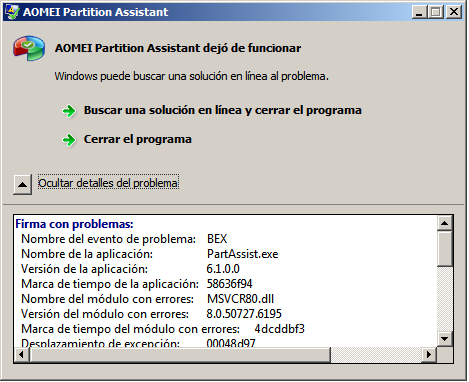 Can I increase the size of the partition without breaking the tool? Edited by juampa, 23 March 2017 - 08:50 PM. P/s: If you have any issue with multiboot unbootable on Legacy mode. Just run [ 03 ] fixboot(YUMI-WINSETUP).bat to fix it. Have fun!